I decided to give it a try since I already had everything I needed to make one. including decoupaging the top of my desk with the pages. 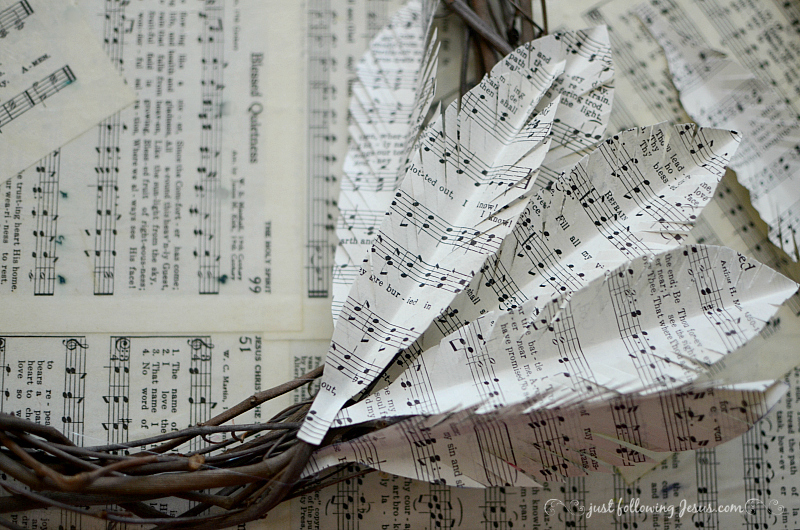 I cut out the paper feathers from the hymnal pages. I think I made mine too full. Thank you! KariAnne's is just a little "more perfect"! How fun. I love it. I'm determined to do a bit of crafting during spring break! BTW, I'm catching up on your posts and have appreciated your words this week so much; thank you for your faithful sharing! Thanks so much, Ginger. I hope your spring break is very relaxing and refreshing. You're on the home stretch now! Thank you so much! It was fun to make! 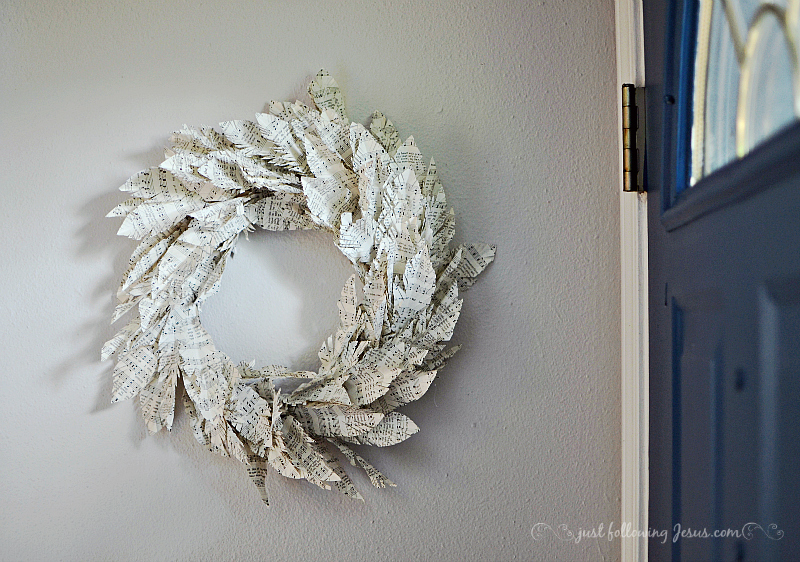 Hey Elisabeth, your DIY is magnificently! Thank you, Andy! I enjoyed giving it a try, even if it's not quite perfect! Hi Elizabeth! I have a dear friend who is a musician...this would be such an awesome gift for her. 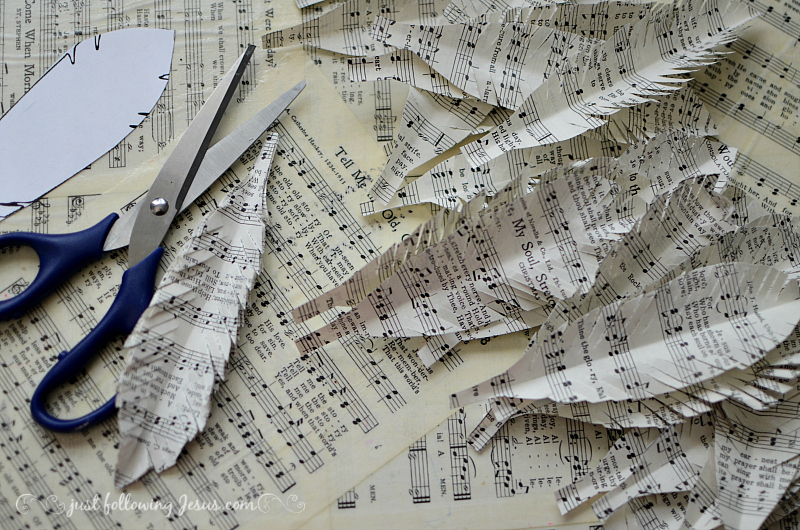 I love the repurposing of the music sheets too. I'll have to keep my eyes open for books like that at resales. It's so easy and doesn't take a lot of time. Old hymnals are pretty easy to find at the Goodwill or Salvation Army. I hope you do make one for your friend. If you do, let me know! Thanks, Lynda. It's simple and not too time consuming. One would look great in your lovely home! 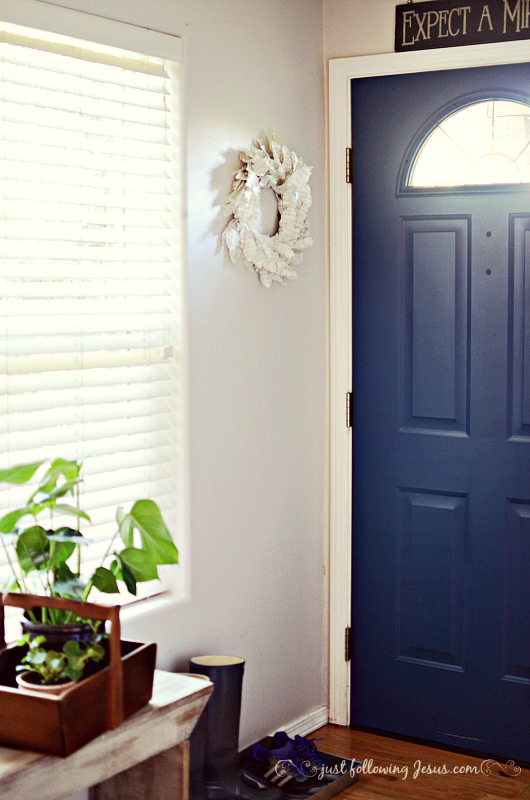 Your wreath is just right! I love where you put it.